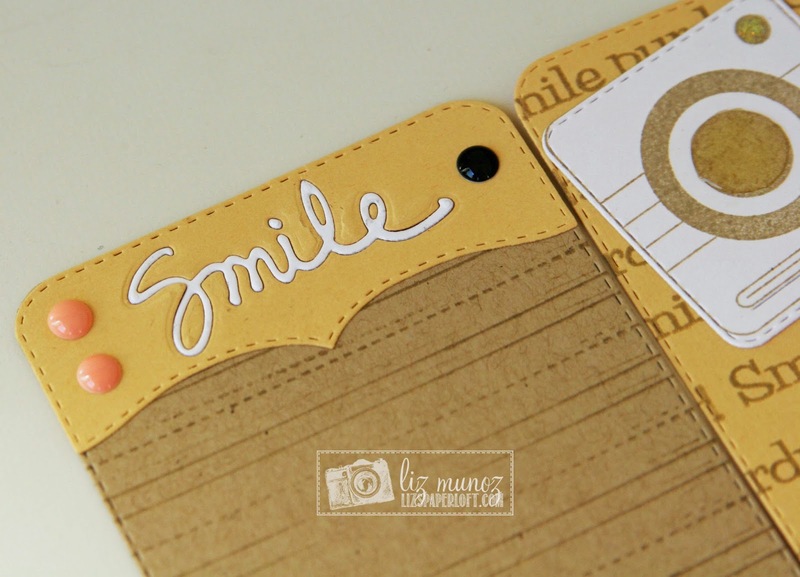 Liz's Paper Loft: MCT August Release Blog Hop ~ Smile Purdy! 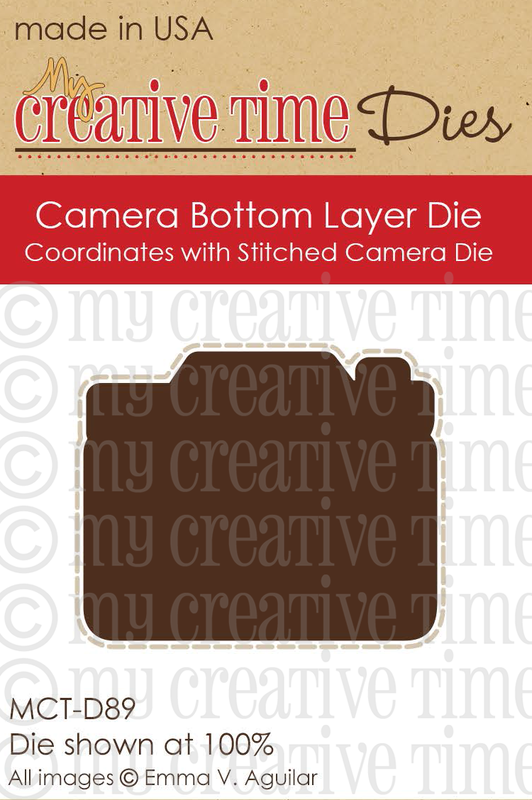 Good Morning crafty friends, welcome to My Creative Time August Release Blog Hop! You should have arrived here from the ever talented Miss Emily. If not please head over to Miss Emma for the start...the more you comment the more chances to win!!! For my project today, I wanted to get some scrap booking done...however I had a some trouble get my photos to print. So here you have it, just the PL style cards :/ Well at least they'll be ready when I figure out the printing issue. 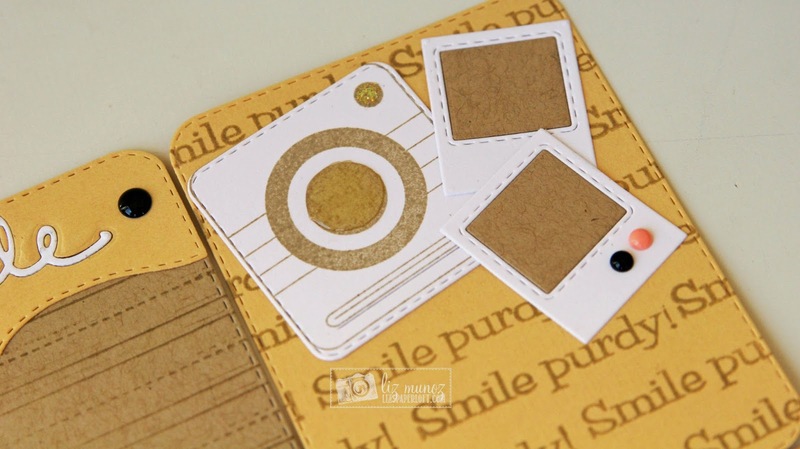 I stamped "smile purdy" over and over again to create a pattern background paper. Remember to think out side the box when stamping. 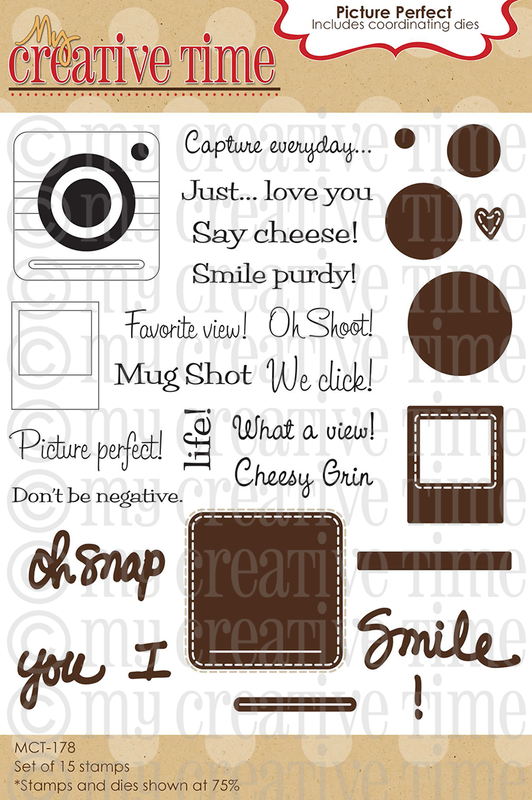 Sentiment stamps can be used many different ways! Friday has finally got here, so get ready, set, go...let the shopping begin! Liz love it all. Beautiful colors. LOVE how you made your own pattern paper by stamping words. Awesome! Beautiful job with this project! Very creative, love all the little details. OMG!!!! This are FABULOUS Miss LIZ!!!!! AWESOME JOB & THANK YOU!!!! Your PL card is so cute!! I know the frustration of printing pics but what the hay in the end it always works out. I love the cute and clever ways you've used Miss Emma's goodies you truly are one super creative and talented gal!! Your cards turned out fabulous. Great use of the dies. So many designers seem to be making their own background paper by stamping. I'm going to have to try that. Good way to get what you want for your background. Love your PL cards LIz! Great colors!! Loving this release. 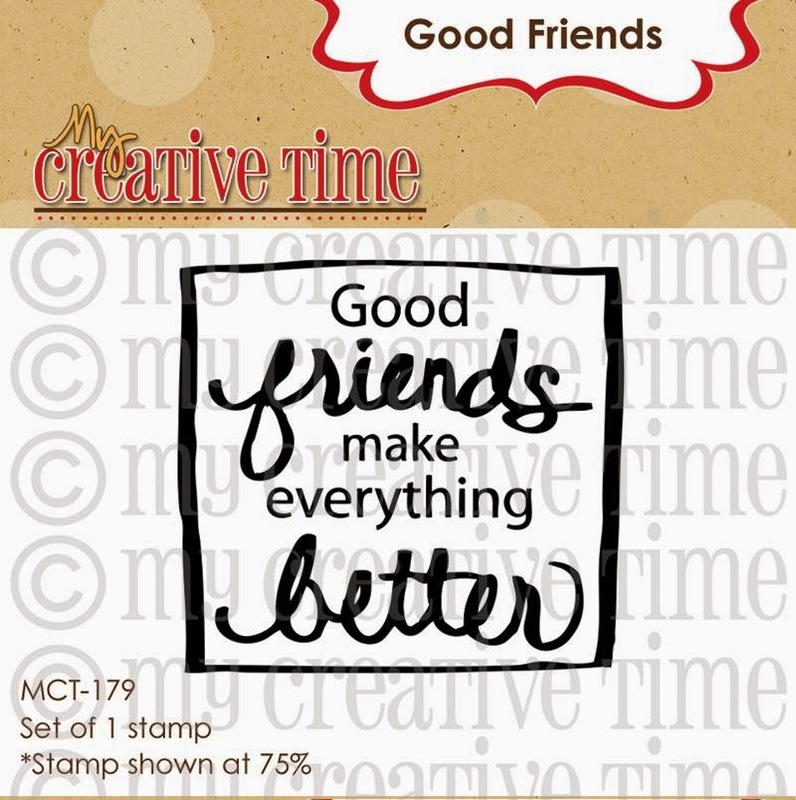 Very creative layout, great colors, the way you used the stamps and dies from this new release is perfect. Beautiful PL card!Such a fun design! Love this release:) Thanks for the inspiration! I like the neutral colors of these PL cards. Super awesome PL cards! LOVE them! I love this card set up. It's great the colors and all. What a great set of cards!! I love those colors and they all look fabulous!! Hugs!! I love your PL cards! I'm always looking for ideas so thank you. I love these PL style cards you created! They are fabulous and fun! These are great! 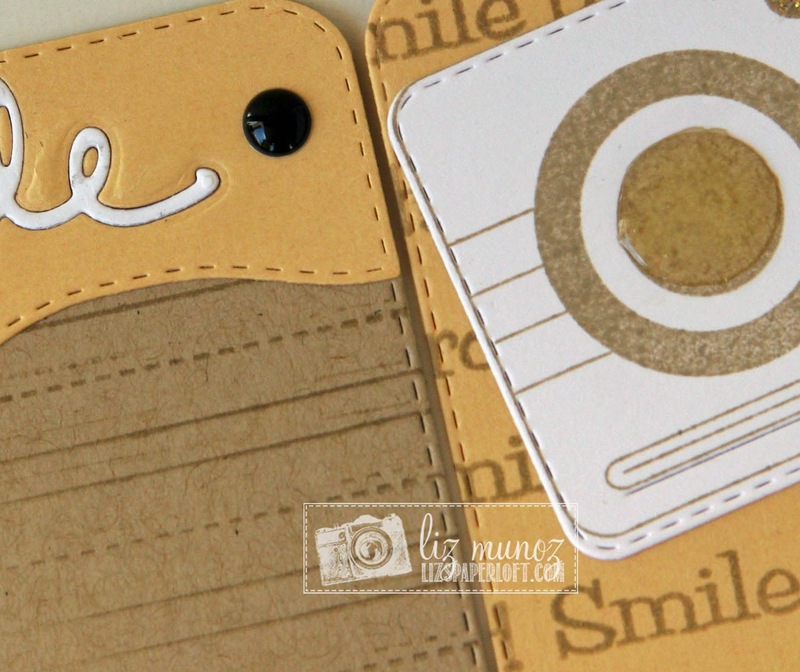 Love your color combo, and the idea to stamp all over with the one stamp. Great idea! THESE ARE AWESOME POCKET PAGE CARDS.GREAT COLORS, TOO. LOVE~LOVE~LOVE! I love the neutral colors! I love the way in which you used all the dies and stamps to decorate the layout! Terrific! That is the most perfect CAS layout! I may just scraplift this one!!! Just PERFECT Liz!!! Awesome!! 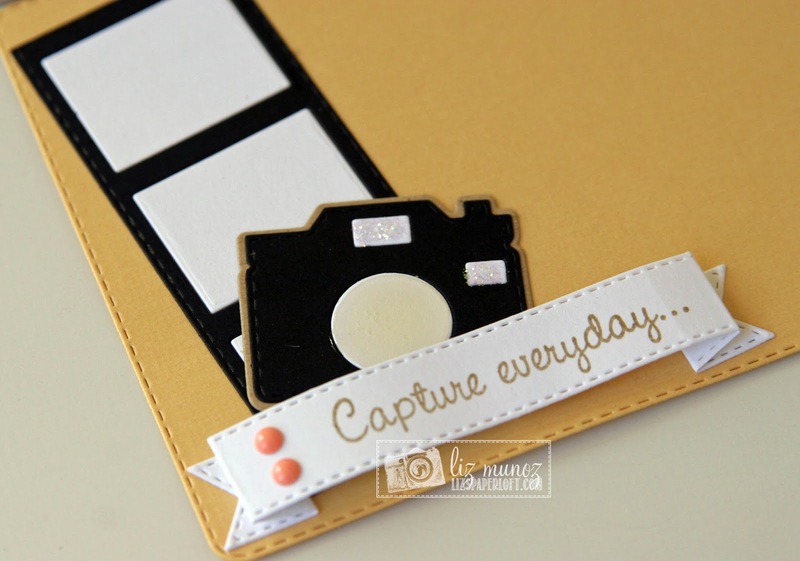 You've created stunning backgrounds for your keepsake memories! Fabulous showcase of the new release! LOVE them. they will make a wonderful home for your pictures. Thanks for sharing your talents and your time. I love the color combo you used, very classy. Super Cute! Love the cards! Thanks for sharing! Your PL cards are beautiful...I like the background with the sentiment over and over. The little camera is so cute. Great job and good luck with the print outs. The pictures will look great on these cards. beautiful they are simple and so great. thanks for the tip on using sentiments for a background, never would have thought of that. These are awesome!!!!!! Such perfect PL cards! 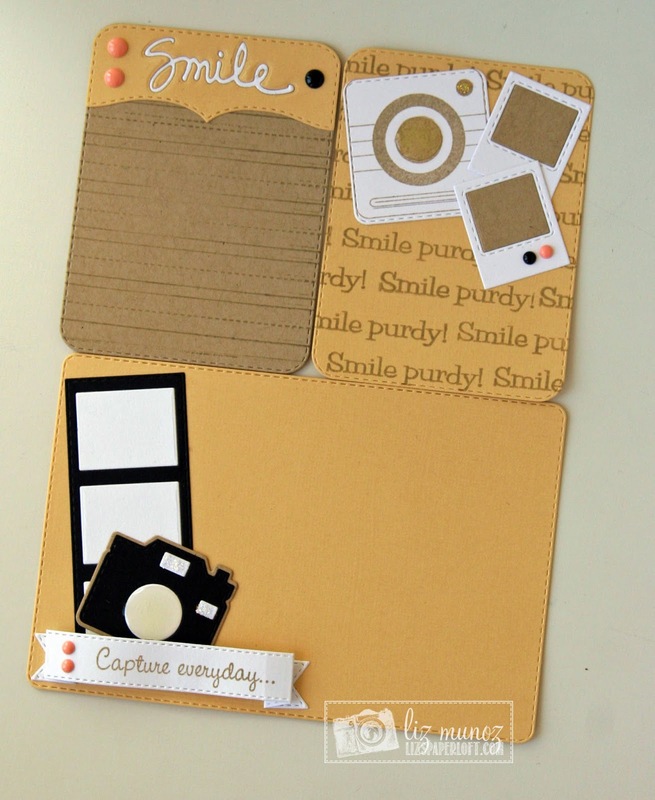 Great PL cards-I cant wait to see your page once you print your photos! These are such cute PL cards! Awesome! Love the tailored, crisp, clean look and the color combo. Awesome card, even without pictures. Luv it! Amazing project life cards!! Love the colors and the designs! Such rich textures and great design. Great project for life cards!! Love them and the release too!! Wow these are so cute. I love the cream color Liz! !